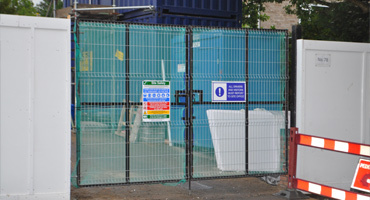 Four Seasons Fencing has gained much experience over the years in the installation of site hoardings. 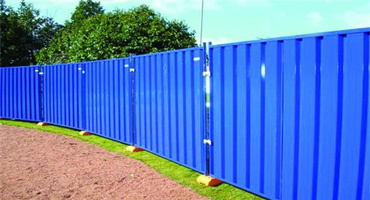 Normally used as a temporary solution in maintaining the security of a construction site and to keep the general public from harm during the construction phase. 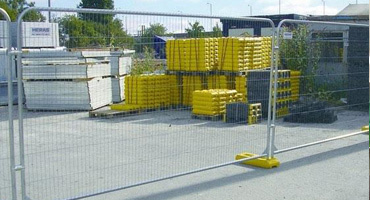 Hoardings are generally constructed at 2.4m high and can include options such as capping and skirting, vision panels, lighting, vehicular and pedestrian access gates. Normally constructed using 18mm softwood Ce2+ structural ply and painted in accordance with clients branding. The external face is a generally a great opportunity to market the forthcoming project. 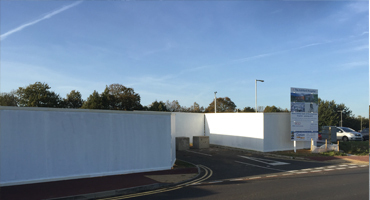 Finish: External face normally receives two coats of paint in clients branding colours.